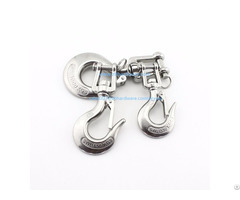 These snap hooks are made from grade 304 stainless steel and grade 316 stainless steel, ss316 is better than ss304 in corrosion resistance and rust prevention, if their application areas are very bad like marine and bio-gas..., we recommend you choose grade 316 stainless steel, If not, SS304 is good enough. Egg shaped snap hooks are available in size from 50mm to 100mm, their detailed dimensions are below for your reference. Egg shaped snap hooks are produced by lost wax investment casting, after over 48 hours' tumbling and elector-polished surface treatment, surface is smooth and shiny. If you have any other questions, please feel free to contact us, we will be very happy to receive your message! 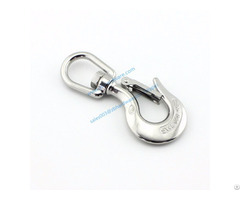 Business Description: we are manufacture of all kinds of stainless steel rigging hardware, cam lock couplings. Wudi Zhibo Metals Co., LTD is meanly engaged in the metal products. Our business is a system includes the designing, production, machining and selling. 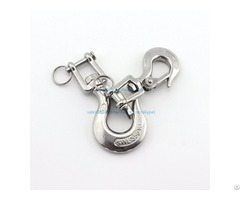 Our products are camlock coupling, rigging hardware, marine hardware, auto accessories ,as well as the machine parts .According to the standards of API ANSI BS DIN JIS, the products are made to pretty , rational construction, superior performance. 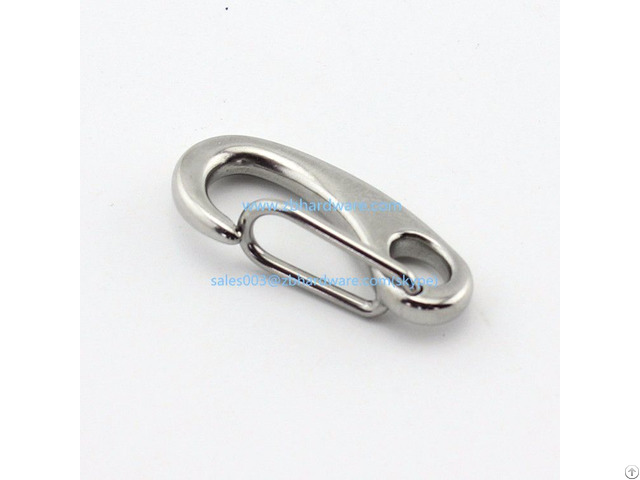 The material of our products is kinds of stainless steel ,such as 304 316 316L ;aluminum; brass; pp; nylon and carbon steel. The products are used in many area covering the marine transport, petrochemical industry, Pharmaceutical papermaking, food industry ，electricity industry and so on. Our products are exported to America England, France, Canada, Australia, Holland, Japan and Korea, and the domestic market is vast too, which gain many trust and favorable receptions home and abroad. From the established to now, Wudi Zhibo Metals Co., LTD obedience to the idea of “Quality First, Creditable Management " and objective of the "Win-Win", all the staffs are devote to the technological innovation, building enterprise brand ,to meet the needs of the clients.